← Welcome to the Your Voice blog! It gives me great pleasure to ‘open’ Bath Mind’s ‘Your Voice’ by writing the first blog post. Having suffered from the mental illness depression myself, I have chosen ‘Mental Wellbeing’ as the theme for my year as the 778th Mayor of the City of Bath. I’m hoping that during the year I can help reduce the stigma associated with mental illness. 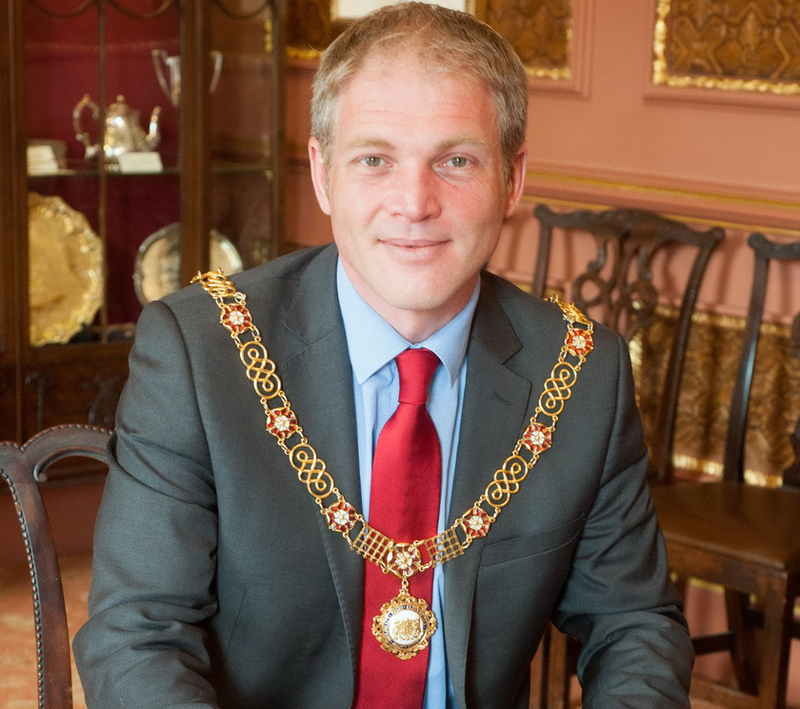 My theory is that if the Mayor of Bath is prepared to say that he has suffered from the mental illnesses of anxiety and depression, no other citizens in the city should be too embarrassed, worried or shamed to do the same. If I think back 30 years, I can remember when people talking about cancer would refer to it as ‘the C word’ because they were too embarrassed, worried or shamed to use the word ‘cancer’. Back in June I started the Race for Life in Royal Victoria Park and saw 5,000 women actively talking about cancer and running to raise funds for cancer research. This is great, but we have a long way to go before mental health care and research gets anywhere near the same levels of support. Let me tell you a few more things that might help confront stigma. Deep in the depths of depression I suffered from suicidal thoughts – I know how frightening and worrying these thoughts are. I did not really want to take my own life and am very glad I didn’t, but at that time I was just very ill. It seemed a valid option to escape the thoughts and feelings that were causing me excruciating pain. On one occasion, brought on by anxiety and depression I suffered from psychosis and I was consequently sufficiently unwell to need to be ‘the S word’. The ‘S word’ is of course ‘sectioned’. People really don’t like using this word. Be it section two, three of four of the Mental Health Act all it really means is that someone is sufficiently unwell to require an emergency hospital admission. Much like might be needed if you had a heart attack or stroke. These are matters of fact, so I present them in a matter of fact way. No shame, no stigma. They happen. I’m so very pleased and proud of what Bath Mind do to support people affected by mental illness in the City and surrounding area. I wish this new blog every success in promoting mental wellbeing. This entry was posted in News and tagged Bath, mayor, mental health, mental illness, William Sandry. Bookmark the permalink. So happy to be part of this new blog with Bath Mind. Please follow! Lovely piece – thank you for sharing! Well done Will!! Lets get mental health issues out into the open. 1 in 4 peopl every year suffer from them! bravo! Tear down the stigma. Because everyone will have difficulties at sometime in their life, whether they are “diagnosed” or not…. What a brave, honest and inspiring piece. Thank you so much for sharing your experience and helping to break the stigma of mental illness. Such an encouragement to read your story Will. Will, I am so proud of you for leading by example this way. Someday will shine a light. Will, it’s really encouraging to see someone in the public eye brushing away the stigmatisms associated with mental illness. As you say, it’s an illness, like cancer, but lack of knowledge makes people afraid. My wife has bipolar and has had some bad experiences, both through her condition, so called “friends” and even the NHS. More publicity of this condition and mental health in general helps but also being open about the condition. How wonderful! I too remember when cancer was “the C word”. Honest and inspiring, here’s to the people of Bath getting the help they need, and feeling unafraid to do so.